Going away? Send your dog to camp! If you went to camp as a kid, you probably remember how much fun it was, the new friends you made and all the cool stuff you learned. Your best friend can have the same great experience the next time you leave home – whether it’s for a month or just overnight. Never stress again about boarding your dog in a noisy, crowded kennel or finding a sitter you can trust with access to your home. Our professional, experienced staff will lovingly care for your pup in a comfortable, safe and homey environment. Lots of one-on-one attention, love, belly rubs and praise. We can also customize your dog’s stay with optional Adventure Packages like playtime with other friendly dogs, additional walks, individualized play, training services and even grooming. Just ask! 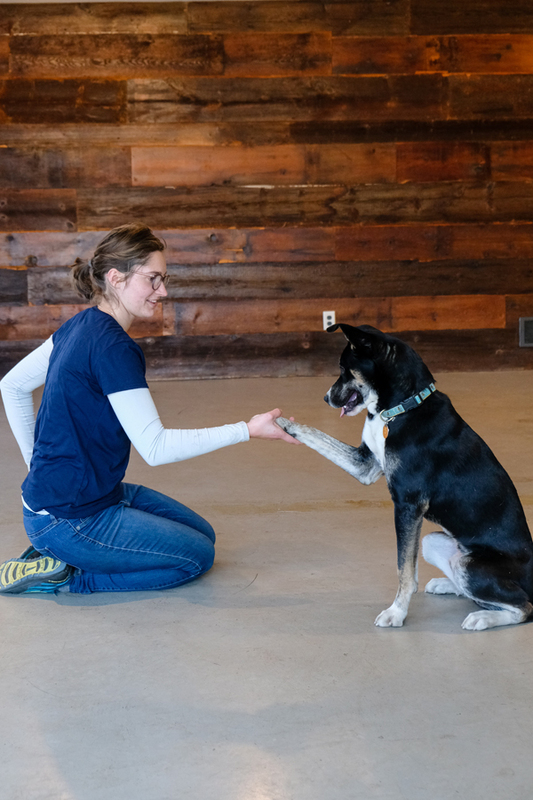 Our Boarding services are primarily open to current or past students of any of our dog training programs. Occasionally, we do have openings for dogs who have not participated in our programs, so contact us for an evaluation. Want to return to a better-behaved dog? Ask us about training while they’re at camp! Friends highly recommended we try GDC for our Sweet Emmee. Wow! What a wonderful thing GDC has been. They not only helped train our pup, but also her person on how to work toward our goals. GDC training class, group lessons, boarding, we have done it all. High praises for GDC!